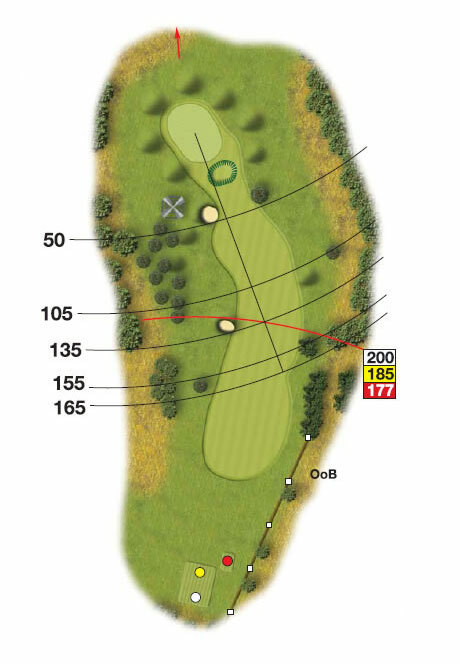 This uphill par 4 feels a lot further than the yardage indicates. A wide fairway invites driver. However position is key to set up a straight forward approach shot to a large green. (Please note that if a ball strikes a powerline you may replay your shot from the original place without penalty).